LONDON, June 6, 2017 /PRNewswire/ -- The Organization of the Petroleum Exporting Countries (OPEC) members' crude output rose 270,000 b/d to 32.12 million barrels per day compared to April, according to an S&P Global Platts survey released today, driven by sharp output recoveries in Libya and Nigeria, both of which are exempt from the organization's production cut agreement. "Despite strong compliance overall so far, OPEC's efforts have not borne much fruit, as far as oil prices are concerned. If global stocks do not start to show demonstrative signs of steady draws, OPEC may have to be more creative with its strategy," said Eklavya Gupte, Senior Editor, Europe and Africa Oil News, S&P Global Platts. "To add to this, OPEC could face a brewing political crisis as two key members have broken diplomatic ties with Qatar. In the past, the group has managed to put aside political rivalries to focus on production management, but geopolitical risk is always something that bears watching within OPEC." May production rose despite very high compliance from both Saudi Arabia and Angola, as Iraqi output also rose steeply. Libya and Nigeria's combined January-May average output of 2.312 million b/d is now 101,000 b/d higher than their October levels, the benchmark month against which the rest of OPEC members' cuts are determined, according to the Platts survey. With production in these countries expected to continue to grow this summer as they recover from militancy-related outages, OPEC faces a tricky period in its attempt to accelerate the market's rebalancing. OPEC's collective May output was some 350,000 b/d above its stated ceiling of 32.5 million b/d, when Indonesia, which typically produces about 730,000 b/d, is added in. Among the 11 members with quotas under the production cut deal, compliance is 117%, according to Platts calculations. On May 25, OPEC and 10 non-OPEC partners including Russia decided to roll over a 1.8 million b/d production cut agreement into March 2018. This decision has so far proved unsuccessful in convincing a wary market that the producer group's efforts to clear the glut of oil in storage are sincere, as prices remain below $50/b. Nigeria's production in May rose to 1.73 million b/d, up 80,000 b/d from April, its highest level since March 2016, due to the restart of Forcados crude exports. At least two tankers left the Forcados terminal last month, the first loadings since late October. Nigerian crude production is expected to rise even further in June, with Forcados loading schedules averaging 251,667 b/d, according to trading sources. Libyan production rose 180,000 b/d to 730,000 b/d in May as the giant Sharara field restarted production, and exports from both key eastern and western ports have risen at a steady pace with good demand shown by both European and Asian refiners. Libyan oil output is now at its highest levels since October 2014, when output averaged at 860,000 b/d, according to Platts survey data. Iraq, which continues to produce above its output quota, saw its production rise by 70,000 b/d to 4.43 million b/d in May. Panelists said the rise was caused by a slight increase in exports from its Persian Gulf terminals, along with a steady build in crude going into storage. 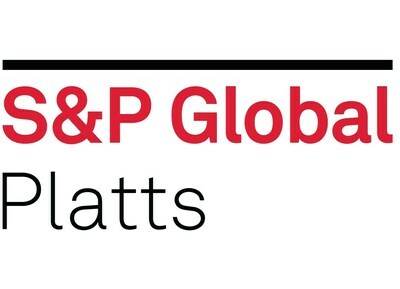 Its compliance with its quota through the first five months of the deal stands at 70%, making it one of the least- compliant members, according to Platts calculations. Iran production rose on higher exports to 3.78 million b/d, the survey found, just below its quota of 3.797 million b/d. OPEC's largest producer Saudi Arabia saw its production fall to 9.93 million b/d in May, down 40,000 b/d from the previous month, as survey panelists said exports were down significantly despite a rise in direct crude burn. Saudi Arabia has consistently cut more than its quota for five months in a row, the only country to do so. The kingdom was allocated a quota of 10.058 million b/d under the agreement. Saudi crude production was "below 10 million b/d, well below" in May, energy minister Khalid al-Falih told S&P Global Platts last week. Recently, he also told reporters the kingdom's crude exports were likely to fall in June, especially to the US. He has also said the coalition will consider the need for deeper output cuts in July, when the five-country monitoring committee meets in Russia. Notes: On May 25, OPEC and 10 non-OPEC producers decided to extend their existing production cuts by nine months -- a move that would keep nearly 1.8 million b/d of crude oil off the market through March 2018. Equatorial Guinea became OPEC's smallest oil producer on May 25, when its application to join OPEC was approved, bringing the oil producer bloc's membership up to 14. The agreement exempts Libya and Nigeria, while allowing Iran a small increase in production. The joint OPEC and non-OPEC ministerial monitoring committee will meet in Russia on July 22-24 to review the progress of the deal and the next OPEC and non-OPEC meeting set for November 30. Indonesia suspended its OPEC membership on November 30, but its output is being counted by OPEC under the production ceiling. The estimate for Iraq includes volumes from semi-autonomous Iraqi Kurdistan.